Congratulations to our clients & friends at the Festival of Small Halls. This neat event goes on for 11 days on Prince Edward Island in the middle of June. I have been lucky to have been involved since pretty much the start of the Festival. Infact, I recall in the first year talking with one of the event staff on how exciting and busy he was being involved. The Festival of Small Halls is not your typical song and dance festival. Oh no, it includes good tunes, some story telling and of course some dancing. Top it all off with some comic relief and you've got one heck of a festival. Here is a video of well known lawyer Gary Evans I made last year at the opening. Plus a second. The other different thing is that it doesn't take place in one area. The Festival celebrates the many Small Halls that our beautiful Island has and encourages them to get involved. It features performances in different halls across PEI every night. For myself, I really enjoyed last year where I would travel from hall to hall to hall to participate. Sadly, I only got to spend about 45-60 minutes in each hall as I was working on the social media aspect, but luckily, I got to experience the different events at a good portion of the halls. So why the congratulations? Well. 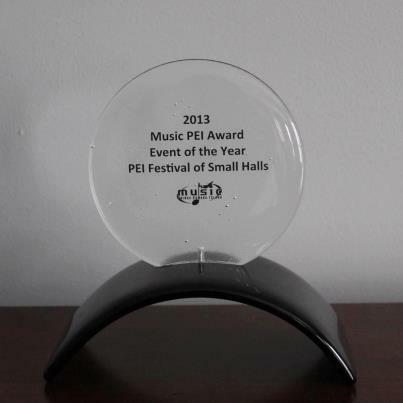 The Festival of Small Halls has won two awards in the past week labeling the Festival as thee festival event of PEI. 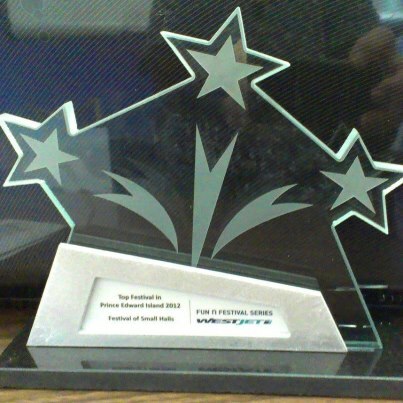 The first award was for being #1 on Prince Edward Island in voting for the WestJet Fun 'n Festival series. The WestJet Fun 'n Festival award was determined by number of votes where you could vote daily. For a long period in time, we were not only just first on PEI but first in Canada! But when your competing against the mighty Calgary Stampede who has a much larger fan base, it's exciting being the underdog. None the less, winning #1 on PEI is certainly a big award too! The second award was announced this week, as part of Music PEI Week, with the Festival winning the Music PEI Festival of the year award. The Festival has won this award for the past 3 years in a row and is a well deserved award to a great group of staff! Here's a second video where Gary Evans tells a story where our an Island MP introduced an Islander to the Dalai Lama. It's also a hoot.